Have you ever had a sober New Year’s Eve? It does not have to mean no fun, and you might just enjoy January 1st a lot more if you wake up with a clear head and no regrets. Drinking to excess and spending money have become part of the New Year’s Eve experience, but that does not mean we have to just follow the crowd. 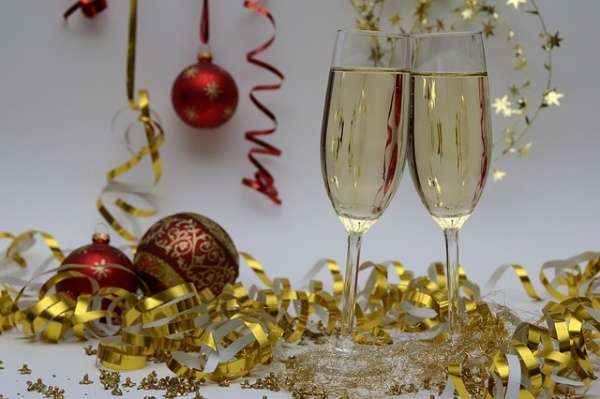 Here are five crucial reasons to skip the champagne on New Year’s Eve. Is anyone else feeling the festive pinch? Right, not just me then. If one of your New Year’s resolutions is a financial one, then you could get a head start right here. Spare yourself the over-inflated bar bill. If you would have been buying a round of drinks, including that traditional bottle of bubbly, not doing so could save you a tidy sum. If you intend to lose weight or get healthier this year, why start January 1st on the back foot? You can start your resolution anytime. If you want to hit that goal then you could start right now. Personally, some of my silliest drunken antics have occurred on New Year’s Eve. Perhaps you can remember a few yourself? This year, you could change that and stay in control all night. Let other people make ludicrous promises for the New Year, or do silly things while under the influence. Just because everyone else is doing it, does not mean we need to go there. I know that it can feel isolating to be sober in a room full of drunken people and hard to resist having a glass of champagne. But give it a chance and see if you can just go with the flow a little. At the end of the day, you will be in the strongest position while everyone around you is fading. And you do not have to do this alone, could you team up with a friend who will stay sober with you? Save yourself money on a premium priced taxi, and get your friends home safely. Travel is very expensive on New Year’s Eve. And it is also a night when opportunistic criminals are likely to be on high alert, as there are just so many drunk and therefore vulnerable people out. Please, do not be that person who falls asleep on public transport and wakes up without their belongings. If you are sober, awake, and have a car to drive, you can get yourself and your friends home safely. For all of the good intentions and positivity on New Year’s Eve, there is often an equal measure of remorse on January 1st once the hangovers kick in. I made this mistake on Millennium Eve. I woke up at lunchtime on January 1st, 2000, with the most horrendous pain and nausea. That is not how I start my year these days. If we are to launch into a shiny new year with momentum and fulfill our good intentions, then let’s start on the right foot, without champagne. I, for one, will be seeing the New Year in with a nice cup of tea! Whatever you choose to do, have a great time and be safe out there.